Get Social is an afternoon mini-conference that brings technology experts from Dublin's Silicon Docks to Dublin City University. The event brings global tech companies together for a fun and immersive afternoon of keynotes, case studies and Q&A's, which give insight into how these global giants leverage social media technologies, tools and tactics to their advantage. The Get Social event is part of a series of 'Get' events organised by the Irish Institute of Digital Business (dotLAB), a digital research centre of excellence for theoretical and applied research located in Dublin City University. As part of Get Social 2019, dotLAB is delighted to partner with Dublin's leading agency of social media experts, Leading Social. This is a FREE event open to all business professionals who would like to attend. It will be taking place between 14:00 - 18:00 pm in DCU Business School. 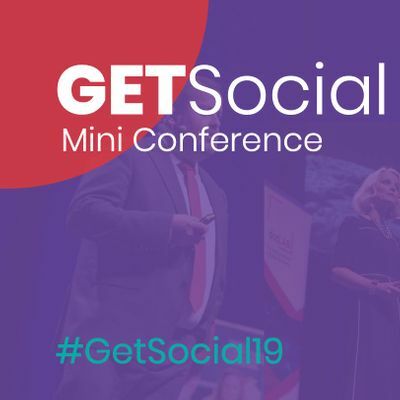 If you wish to engage further with Get Social you can follow the event hashtag #GetSocial19. Get Started 2019 Speakers - More to be announced!